MCSARA VIETNAM was established with the buring ambition of bringing the most suitable hairstyle for every girl. Our goal is to reach nearer to the customers by launching variety of beautiful and affordable products. For the last 4 years, our experience have been driving us forward to both domestic and international markets. We always adhere the principle that: making products for customers’demand. By that, MCSARA always take pride of any product we create. Today, in the series of straight hair extensions we would like to introduce you the Weave hair dark brown color A, which might be your choice. 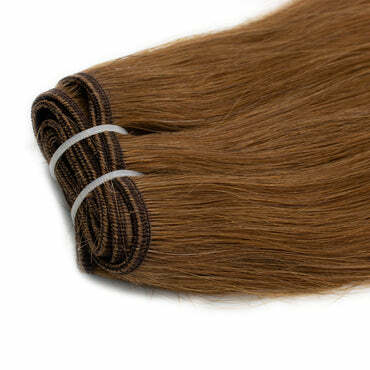 Weave straight hair dark brown color is the hair that has been weft all together in one line. Its length is 18 inches hair, one of the medium hair lengths which make you more attractive and cool. All of our hair products are remy hair with no mix of non remy hair. It has all cuticle as real alive hair and all strands are arranged in the same direction. 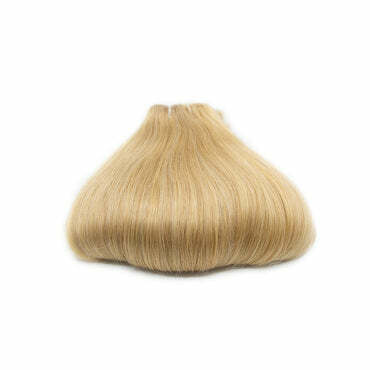 As a matter of fact, it is soft, smooth and glossy just like your real hair. The hair is offered with many standards, colors and textures. In terms of hair standards, there are four main standards of hair. Single drawn hair type 1: the most simple hair with more short strands than long strands in one bundle. Single drawn hair type 2: same as type one but having more long strands. 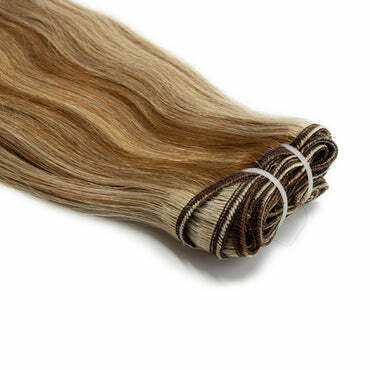 Double drawn hair: the hair strands are more equally long and thick. Super double drawn hair: the best hair in stock with almost same length hair. And, A here means Single drawn hair type 1. Besides, we also have options of hair colors for you. You can choose dark colors such as black or dark brown. Some of the light colors are yellow, light brown and blonde. Or, you can mix all of these colors in one bundle of hair. When it comes to hair textures, curly hair, wavy hair and straight hair are always there for you. 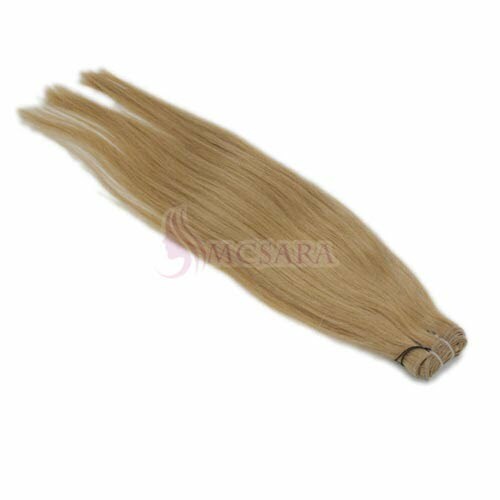 Moreover, if you don’t like machine weft hair that much, you can choose other types of our hair extensions. 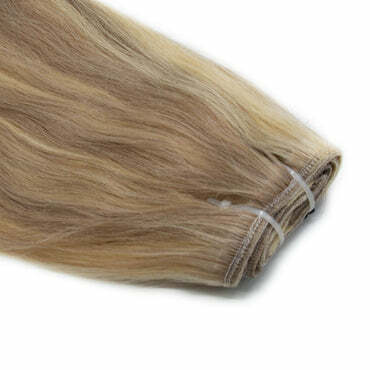 They are tape hair, pre-bonded hair or tip hair and clips in hair extensions. All of our hair is made of 100% Vietnam human real hair with no synthetic hair. We have spent a lot of time to find the hair for you. It is taken from those women who take good care of their long, black hair. For straight hair and natural wavy hair, we don’t process it anymore because it doesn’t have to. Meanwhile, curly hair and wavy hair is more complicated to make. We have to curl it, steam it for hours to make the styles of it. 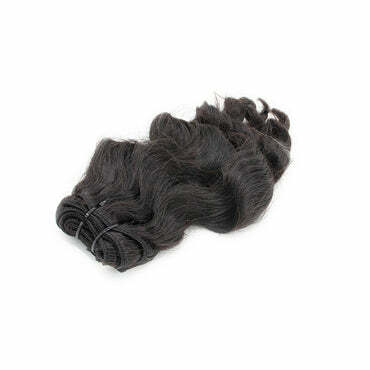 Each bundle of our hair weighs about 100 grams and is 20 inch weave hair, 22 inch weave hair,... in the length. There are some steps to apply weave hair extensions. Divide your hair into two sections. Make a horizontal line in the lower section of your hair. Apply the hair by sewing it into the horizontal line. 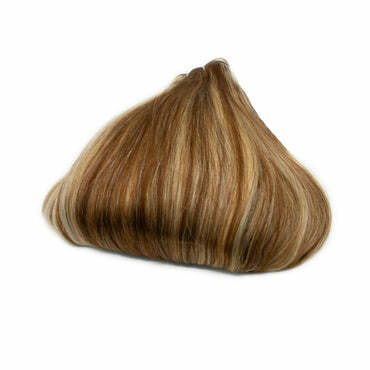 Loosen the top hair to cover the root of your hair. 100% unprocessed virgin hair sourced and each hair passed strict inspection.